Espresso practise session for competent baristas. 90 minutes practise time on an espresso machine. You can book your Free practise session any Saturday. This service is available to all Coffee Culture trained baristas. Book as often as you like – on the same day you can book back to back sessions, or come back week to week. We provide you with all the equipment you need, free coffee and milk. There is always a facilitator in the room if you need any help. If you have a job interview coming up or you want to improve your skills, come along. You can book a machine and practise making as many espressos as you like. You can add a refractometer, single origin coffee, bring your own coffee, or any barista equipment you like. 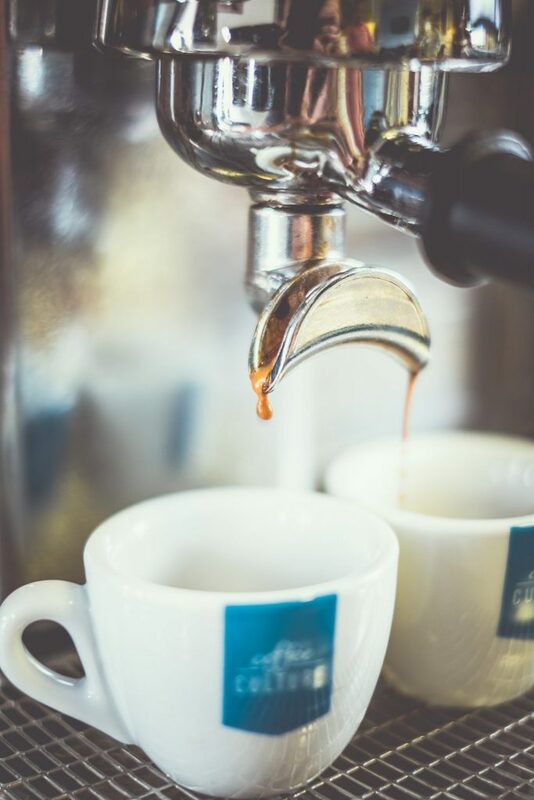 NOTE: you must have machine experience, either barista express, barista level 1 or foundation or be working in a wholesale account where we supply coffee. This is not a training class. Baristas who book onto the equipment will be monitored. Free practise session for baristas. Book a position on any espresso machine. Our machines are single or two group. You may be sharing a machine, but you will always have one side/one position. Depending on bookings you will have exclusive or shared access to a grinder. We provide milk, machines and beans. You may buy single origin beans, or more practise beans, rent a refractometer or indeed bring your own coffee. If you are not a competent barista you will be asked to stop the session. Book a 30 minute session, or 2 x 30 minute sessions back to back.